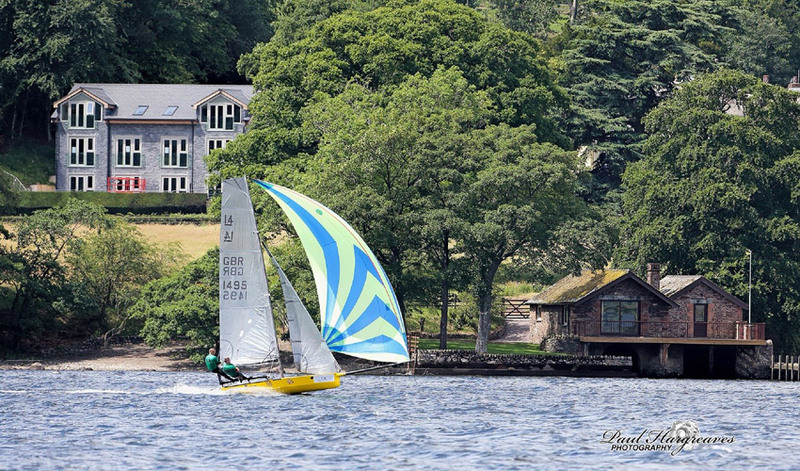 The first to be held since the Lake District was declared a UNESCO World Heritage Site, this years 2018 Birkett is taking place on the Saturday 7 and Sunday 8 July at Ullswater Yacht Club. The unique annual race was established in 1963 in memory of Lord Norman Birkett who successfully defended the right of public access to Ullswater which was threatened with reservoir status in the early 1960s. He spoke in the House of Lords in 1962 of the importance of retaining Ullswater’s natural beauty for all, but died shortly afterwards and the race has been held annually in his honour. All Boats race together down the lake, past Kailpot Crag and the plaque to the memory of Lord Birkett, round an island at the southern end, and back. Then they do it all again on Sunday – with both races to count. The boats make a spectacular sight on the lake and the event, which starts at 1pm on Saturday, July 7, and 11am on Sunday, July 8, attracts spectators at vantage points all along the shore.